Cephas Jr.’s Declaration of Independence – Tell my story. Cephas Love Wilson, Jr. 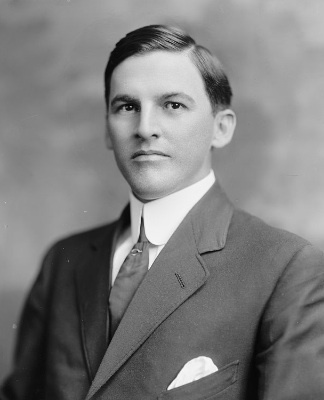 Source: 1913 Seminole, University of Florida archive. A handsome, younger version of his father. By 1917, Cephas Love Wilson, Jr., was probably at the end of his rope, in terms of direction, vocation, and personal satisfaction. He was 22, still living at home. College hadn’t worked out for him (law school, likely 100 percent financed by his father, Cephas Love Wilson Sr., until Junior decided it really wasn’t for him). He knew what he wanted to do: His talent was in the arts — music, but mostly photography and drawing — but Cephas Sr. either wasn’t encouraging him to become a professional artist, or perhaps he was overly realistic with his oldest child: If Cephas Jr. wanted to make a decent living, drawing cartoons probably wasn’t going to do it for him. Cephas Jr. was playing the piano to accompany the silent movies that were shown at the Dixie Theatre in downtown Marianna every evening. It was job. It better than nothing, but I have a feeling it was something to simply make a living, and his heart wasn’t entirely in it. The Wilson house, at the corner of Clinton and Jefferson Streets was getting crowded: His sister Kathleen (1898-1981) was married and living in the family home with her husband Ira Martin, and son, Ira Jr. So, when Cephas Jr. would come home from work, wanting to unwind, to think, to draw, or write, or create, he couldn’t. It was loud and busy at the house where he grew up. He was probably feeling less like this was his home in those days. On April 2, 1917, Woodrow Wilson asked Congress for a Declaration of War with Germany. Four days later, on April 6, Wilson got his Declaration of War. The Marianna Times-Courier reported that Cephas Jr. went to Jacksonville, Florida, along with several Marianna young men to enlist in the U.S. Army. I often wonder how much of Cephas Jr.’s desire to join the U.S. Army was based in patriotism, or in relief to be away from home. Maybe it was both. Regardless, Cephas Jr. was finally on his own. Things began to move fast that summer for Cephas Jr.: He completed basic training within weeks at Ft. Screven, Georgia, then was sent to the Washington, D.C. Barracks, where he was promoted to Corporal, and assigned to 1st Engineers, Company B. On August 6, 1917, Cephas Jr. was sent to the port at Hoboken, N.J., where he boarded the USS Finland (ID-4543), a troop transport, for Brest, France. According to the Marianna Times-Courier, when Cephas Jr. arrived at Brest on August 20, he sent his mother a telegram that he had made it safely. His unit remained in Brest for training until about August 30. I don’t know what Cephas Jr. expected when he enlisted, or what he thought it would be like once he landed in a foreign country — but when he returned to Florida in 1919, when the war was over, he was a completely different man, and he’d earned the respect of his father. No, I have not found his letters or diaries — I wish — but I found something better! You’ll love it! Yeah, it’s huge! Not to tease you about it, but it covers a lot of ground, and is deserving of its own post. I’ll have something up about it in the next day or so.